New generation Youth Formula night cream-elixir contains the innovative Ultra revitalizing night complex which provides an intense overnight firming and moisturizing treatment. 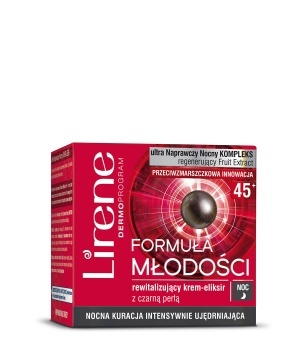 Revitalizing night cream-elixir is recommended for women aged 45. *Evaluations of 30 women in an IN VIVO test after 4 week of use. 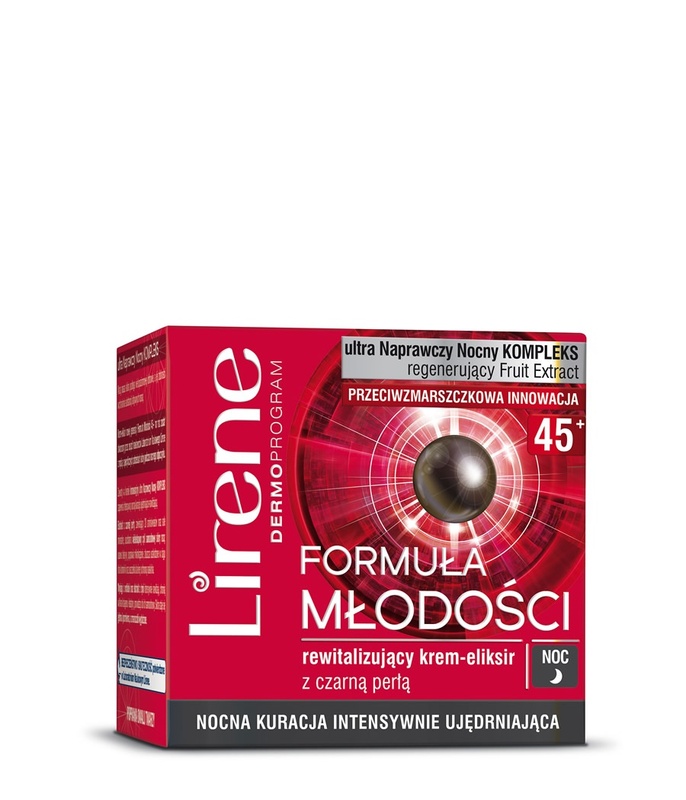 **Biometric tests in the Lirene Scientific Research Laboratory.